As parents of young children, it’s natural to be concerned about your child’s development at all times. Most kids start verbal communication with their parents and close individuals anywhere between 18 months to two years. However, some of these young ones might experience speech delays for various reasons. However, with the help of a therapist, your kid’s speech delays can be treated right here in Dubai. But before you connect with a speech therapist, how do you identify whether your child has a speech delay issue or not? For instance, some children may be too shy to speak, which could be misunderstood as a speech delay. In this article, we discuss three simple tips for parents to encourage their children to speak out and identify delays, if any. Children go through different psychological development stages in their growing stages. While most children learn and grow on their own by interacting with different factors in their environment, some of them need a little bit of help to get on the right track. For instance, children who fall under the autism spectrum require a different kind of approach and environmental setup to perceive things and behave accordingly. Applied behavior analysis in Dubai is a therapy program designed to help children and their caretakers find their way through the psychological development stages. In this article, we provide pointers to help you understand applied behavior analysis at a deeper level. Sensory Integration otherwise known as Sensory Processing refers to the way our body system process and interpret sensations from our body and/or environment. In other words, sensory processing helps us to identify and give meaning to perceptions or physical things we come in contact with on a daily basis. When a child or an individual is unable to appropriately receive or process sensory information, then he or she is said to be having a sensory integration disorder. Basically, there are 7 sensory systems and each performs a specific set of functions. They include proprioception, vestibular, tactile, auditory, olfactory, oral, and visual. Anxiety is a common problem faced by both children and adults, but the situation becomes even more complicated when dealing with an autistic child. In fact, the relationship between autism and anxiety is quite strong, such that most autistic children often exhibit different traits of anxiety, including emotional outbursts, social withdrawal traits, self-injury, dependency on schedule, and over-stimulation. Handling anxiety in autistic children is a very critical issue but the good news is that it is manageable. As a parent, you love your child, that is a given, but to be able to take proper care of him or her, you must also take care of yourself. If you are a parent managing a special needs kid, the first step to helping your kid is to ensure that you are physically and emotionally stable so as to be able to provide the same for your child. It is important to realize that you can’t do it alone, you need all the help you can get. Fortunately, nowadays, it is not too difficult to find communities for parents with special needs kids. The good thing about such communities is that you get to meet people that face challenges similar to what you are battling. Taking care of an autistic kid comes with some challenges. Understanding your child’s condition and the extent to which he or she is affected will help you to know the next step to take. This is one of the reasons early diagnosis and intervention is encouraged. Autism Spectrum Disorder also abbreviated as ASD means the entire range of characteristics that can be associated with an autistic person. Every autistic person exhibits specific traits and faces unique challenges, depending on the degree at which he or she is affected. Most parents with non-verbal children assume that such children do not need speech and language services. To them, of what use is a speech and language therapy to a child who is non-verbal. This assumption is wrong because augmentative and alternative communication is has been found to be very important for people (children and adults alike) with such conditions. 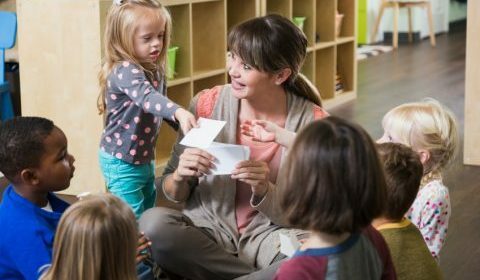 As a matter of fact, ongoing speech and language therapy are very important for anyone with limited communication so as to help the person learn how to communicate with others. Taking care of a child with autism isn’t an easy task but as a parent, it is your duty to help your child with autism live a healthy, happy life. First and foremost, I must state that it is usually depressing to learn that your child isn’t as healthy as other kids. But you should know that proper care and professional help often lead to an improved life for children with autism. That said, here are some parenting tips that can help you to take care of a child with autism. The first step is to equip yourself with enough information about the disorder and how you can go about improving your child’s quality of life. That is why we dedicate time and resources to provide you with information about autism and other common disorder suffered by children. 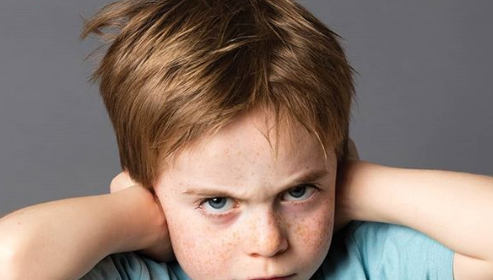 In our previous post, we looked at the common speech problems in children and what to do to help an affected child to overcome any of these conditions. Today, we shall focus on examining the second aspect of speech-language disorders, which is actually the language aspect of such disorders in children. Generally, language disorders occur when a child uses fewer words than children of the same age. A language disorder may make it hard for a child to find the right words to compose a complete sentence. It can also make it difficult for the affected child to comprehend what others are saying. Language disorders are loosely classified into three different kinds – Expressive Language Disorder (ELD), Receptive Language Disorder (RLD), and Expressive-Receptive Language Disorder (ERLD). Speech-language disorders occur when a child finds it difficult to make the sounds of speech, or understand and speak with other people. 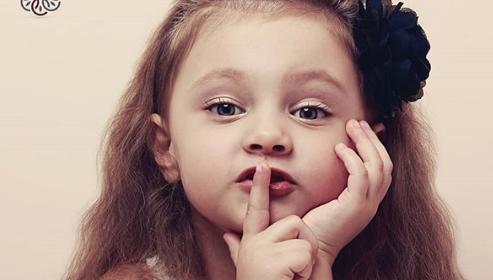 According to a report released by the United State’s National Institute on Deafness and Other Communication Disorders, speech-language disorders are very common as 7.7 percent of children (that is 1 in 12 children in America) have either a speech or swallowing disorder. In part one of this series, we will be focusing on common speech disorders in children and solutions for children facing these challenges. Generally, children with speech disorder find it hard forming the sounds to produce speech or putting words together to form sentences.